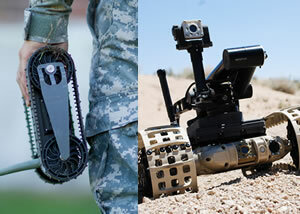 The US Army awarded iRobot and QinetiQ North America two procurement orders for small robotic vehicles, representing the new class of small/miniature robotic systems designed for counter-IED and surveillance missions. 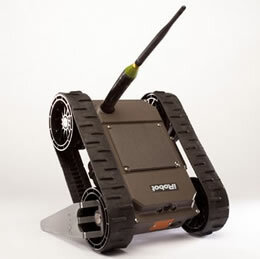 iRobot has unveiled pre-production prototypes of its latest new product, the iRobot 110 FirstLook unmanned ground vehicle (UGV). This small, light and throwable robot provides hasty situational awareness, performs persistent observation and investigates confined spaces.